In a single year, the public learned more information about the NSA and its global surveillance dragnet than we learned during the previous 30 years combined. Much of that knowledge can be attributed to whistleblower Edward Snowden and the journalists tirelessly working to inform the public about the NSA’s surveillance programs. But another force, one that has received far less attention, has been hard at work, too: the Freedom of Information Act, or FOIA. FOIA can get a bad rap. It can be slow, it can be tedious, and it can be frustrating—but when FOIA works, it can recalibrate the balance of power in our democracy. Nearly every document released by the government about the NSA’s spying programs (and posted on its Tumblr, IContheRecord) has been released as a result of FOIA litigation—and a great majority of documents were released in response to lawsuits brought by EFF. 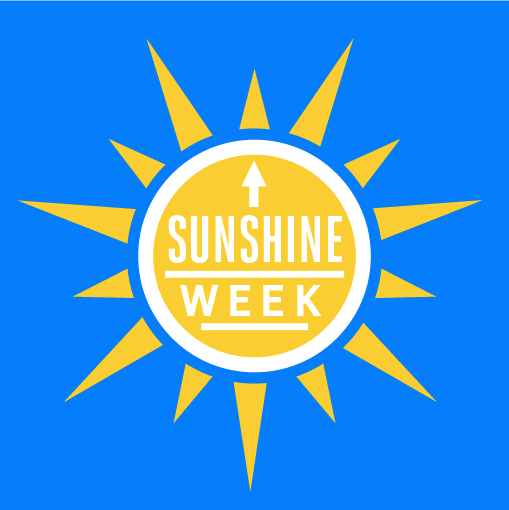 Sunshine Week provides a great opportunity to look back at a banner year for FOIA and fighting the secrecy surrounding government surveillance programs. For years, EFF has been fighting in federal courts to make information about the NSA’s surveillance programs public. In particular, we have long focused on making opinions of the secret Foreign Intelligence Surveillance Court, or FISA court, public. This year, those fights finally paid off: EFF’s litigation resulted in the disclosure of hundreds (if not thousands) of pages of previously secret FISA court opinions. An October 3, 2011 FISA court opinion disclosed that the NSA had collected tens of thousands of purely domestic communications. As a result of that collection, Judge John Bates found the NSA’s surveillance violated the Fourth Amendment and the spirit of federal surveillance law and ordered the NSA to make changes to its program. The October 3 opinion confirmed for the first time what we had long suspected: the NSA was conducting “upstream” surveillance—that is, surveillance directly from the internet backbone of certain providers. Those “misrepresentations” were spelled out in later opinions disclosed in response to our lawsuits. A March 2009 FISA court opinion described how the NSA violated the secret court’s orders limiting the NSA’s ability to search its massive database of Americans’ call records. For nearly three years, the NSA repeatedly violated the limitations on search imposed by the court. The March 2009 opinion further revealed that “there was no single person who had a complete technical understanding” of the NSA’s call records collection program. These failures, among others, nearly led the FISA court to shut down the program in its entirety. Disclosures also confirmed that the NSA used Section 215 to collect cell-site location information on millions of Americans. Although the government purportedly abandoned the program, the records disclosed to EFF confirmed that NSA had collected the information in the first place—without seeking Congressional or court approval first. As these disclosures show, FOIA can be the difference between having a full, informed public debate and having a debate on the government’s terms, with the information it deigns to release to us. EFF—and the public—fought back last year. But there is still much to accomplish, and still far too much government secrecy. In 2014, we’ll keep using FOIA to fight against secret surveillance law and to fight for the public’s right to know.